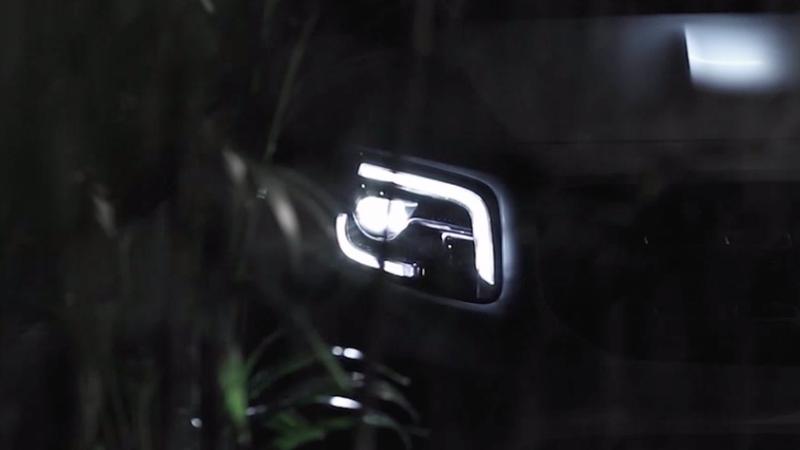 The Mercedes Concept GLB is apparently slated to be revealed at the Shanghai Auto Show, but today the company teased it with a clip that implied the vehicle was in Jurassic Park and the tagline “get ready for an adventure.” I think it’s safe to say we’re about to get a new compact SUV with vaguely off-roady pretenses. Small SUVs selling a spirit of adventure are hardly a new idea, but they sure are popular right now. I still think the Jeep Renegade is most masterfully packaging a compact car as an off-roader at the moment. But the Honda Passport is following suit, we’re all expecting Ford to do something similar soon, and now it looks like Mercedes will be putting some plastic cladding and a high roofline on a little car platform to appeal to everybody’s love with for the idea of being able to drive off-road. Autoevolution is calling it a “seven-seater, based on the same platform as the A-Class,” which, I’m not sure something slotting below the modestly sized Mercedes GLC will have room for three rows, but I suppose it’s possible. That pretty much looks like it’s in line with every other modern Mercedes interior–double-wide dashboard screen, COMAND control module in the center console, and angry turbine fans facing the cabin. Of course the word “Concept” in the name means Mercedes-Benz is reserving the right to revise the design before shipping the car to showrooms, but it makes sense that the company would continue to squeeze the small SUV market for all it’s worth. I’m sure we will see the final version of the GLB on the road before too long.